I've never seen a wookiee wear a t-shirt, but if Chewbacca WERE to wear one, I wouldn't doubt it would be this one. Of course, it would be a little small because it's for a child, but he'd still admire it I bet. Why? Because it has his fur on the front along with his trusty bandolier. What does Chewie keep in that bandolier? No idea since all the guns in Star Wars shoot lasers... but it looks cool none the less! If you want to be your favorite Star Wars wookiee mechanic extraordinaire, give our kids Chewbacca Costume T-Shirt a try! 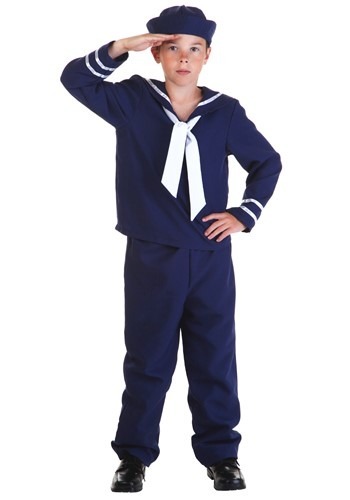 He'll become an Able Seaman in no time at all when he wears this Child Blue Sailor Costume for Halloween! It's also available in white. Will she grow up to Athena, or Diana? Or maybe Aphrodite? 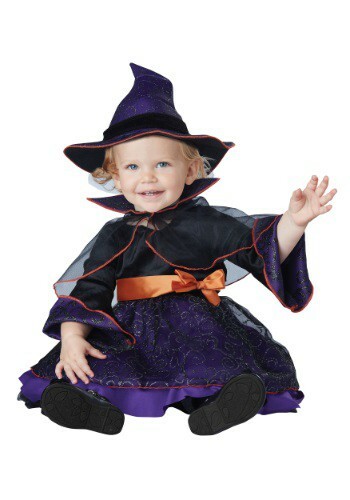 Whichever, she'll get a good start by wearing this Child Purple Goddess Costume for Halloween or for a historical theme party..
Do you know how long it takes to grow hair long enough for a prince to be able to climb up a tall tower on? Like, forever. Not to even mention the fact that it's really rough on your scalp when he climbs it. You're much better off using a wig. Besides, he'll never know the difference. 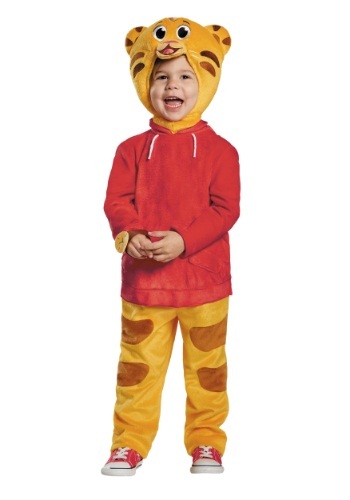 Let your child hop onto the Red Trolley for a ride around the Neighborhood of Make-Believe in this Daniel Tiger Deluxe Toddler Costume! He can meet his friends O the Owl, Katerina Kittycat and Miss Elaina. They can have all sorts of educational adventures. Add a pair of red sneakers for authenticity. Your little one will love feeling like a princess when she slips these super cute shoes on! This Disney Princess Shoe Boutique is a must have for any little girl who loves dress up. Life is sweeter when you're a strawberry. Just ask Strawberry Shortcake! She lives in a magically sweet world with all her friends and pet cat Custard. Now your child can be a little bit sweeter too with this Girls Strawberry Sweetie Costume. We're afraid this Infant Black Feather Penguin Hat with Blue Accents is terminal. Terminally cute, that is. Keep your child cozy in this bright hat! Babies don't typically dress up for special occasions, but maybe they should start. The rest of us have to get dressed up for weddings, formal dinners, and the like, so why should an infant get out of it? That's what we say, anyway! That's why we think all infants should have one of these Gentleman Tuxedo t-shirts in their wardrobes for any special event that may come up. Being born is a really big deal. It's possibly the most important event of your life! We can't think of a better occasion to dress up, actually. That's why we got this adorable infant tuxedo costume! It will spiff your little guy up so he's all dressed for the big event. Later in life he'll be so happy you made him look so good on his first day! Classy baby alert! Take your cutie pie into a dapper event (not diaper event) looking like a true stud. Dress him in this Infant Tuxedo Romper! Web slinging is a pretty difficult thing to do, and shouldn't be taken lightly. You might try and grab a can of soda and all of a sudden you've webbed the convenience store and the owner is yelling at you to get out. That's the life of Spider-Man. It's not all glamorous crime-fighting and funny one-liners. Don't even get us started on web swinging! Now that takes some skill. One wrong move and you'll find yourself flying through the air, through a high rise window and into a mid-Manhattan office right in the middle of a financial budget meeting! Again, thus is the life of being the friendly neighborhood Spider-Man. That's why we recommend this Spidey tee for kids. Your little tyke will look the part and won't have to deal with all the webbing troubles. That's what we like to call a win-win situation, true believers! Who couldn't love the child in this Mummy Loves Me Infant Costume? It's super-cute, and cozy too! If you're doing an Egyptian or mummy theme, you can include your little one, too. All the best snowmen are plump, and the padding between the shell and lining of this Snowman Bubble Body Costume gives a nice plump look. 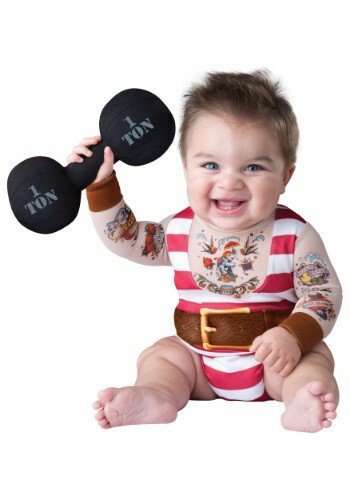 Perfect for baby's first Halloween or Christmas! Your little one will have a blast becoming a superhero who loves to read! This Super Why costume will let your child become the hero that Whyatt Beanstalk becomes when he gets the call that someone has a super big problem. This is a great costume for any kid who loves the PBS show The Reading Adventures of Super Why! Everyone talks about going green. They probably mean switching over as many of our energy needs to renewable sources, but this dress a pretty great way to go green, too! This Crayola Emerald Glitz Dress for teens is bright, green, and even comes with a cool conical hat that looks like the tip of a crayon. It's the perfect look for Halloween, or assembling wind turbines. Your choice, of course! Your child can set sail on the deep blue sea wearing deep blue! This Toddler Blue Sailor Costume has authentic details and is made of sturdy fabric so it's great for everyday play after Halloween is over. 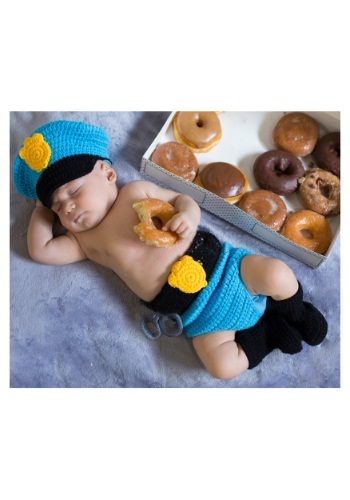 You might have trouble with folks wanting to take your child home with them when they're in this adorable costume. They'll be an irresistibly cute little bear! It's none other than the little engine that could! The coolest locomotive in town is off to go help out Percy and Toby and even stop by and say 'hi' to Clarabel on the way. 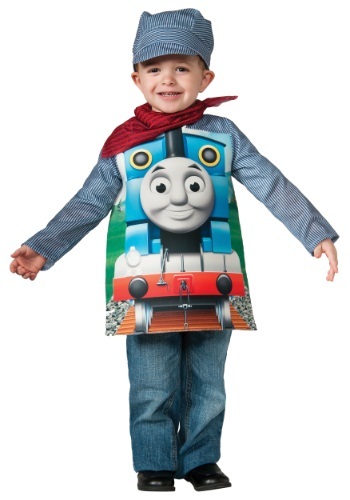 Little boys will jump at a chance to say 'chug-a-chug-a-choo-choo' in this Toddler Deluxe Thomas Costume. Dusty Crophopper proved that even if you start out as a humble cropduster, you can achieve your dreams. This Toddler Dusty Crophopper Costume lets your child live Dusty's dreams--whether he's racing around the world or hurrying to rescue tourists from a fire. This easy costume can be worn over ordinary clothes. He won't read "The Old Man and the Sea" for many years yet, but he can look like the "Old Man" for Halloween in this Toddler Fisherman Costume. Just add his own rubber boots and a toy fish. Your little one will be all set to hit the links this Halloween in style in this golfer costume. Once he has this hip outfit on he'll feel just like dad playing his favorite sport. He'll feel he just got a hole in one this holiday in this great costume.